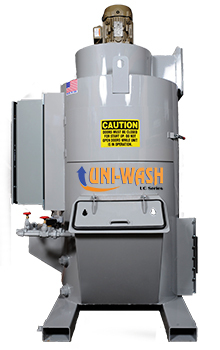 ProVent has served the aerospace market with our Uni-Wash Wet Type Dust Collectors for many years. 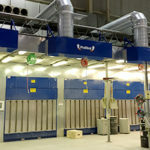 The industry’s reliance on processing metals such as aluminum and titanium can create a dust explosion hazard that must be contained and rendered inert in a wet type dust collector (NFPA 484). ProVent has been the leading provider of these systems with our patented orifice / impingement scrub design. This design, combined with our attention to detail, quality of materials and workmanship has solidified our commitment to the aerospace industry. The aerospace industry has also utilized our large selection of cartridge collectors, such as the 90,000 CFM booth pictured to the right. Additionally, ProVent manufactures many configurations and sizes of portable and ducted source capture collectors that can be utilized for a variety of processes.